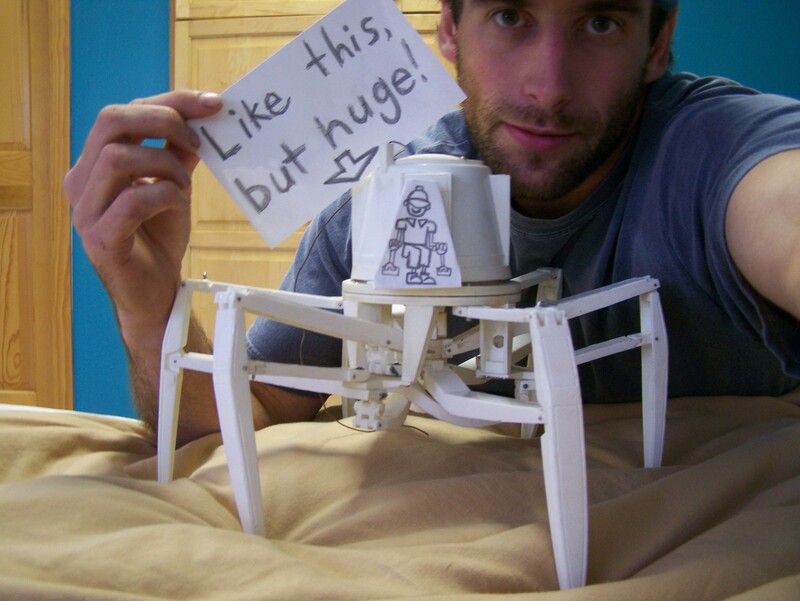 http://jamius.com/Robot/Robot.html Make sure to watch his youtube playlist with 68+ videos… he’s been building this giant robot for some 5 years… and it’s still a work in progress! Rock on! For 1 million extra points, he is building all this in the Vermont woods. He built the mile-long road to his home built workshop!!!! His documentation of the project is so wonderfully real, scrappy, resourceful and completely utterly awesome!